This small luxury hotel with your own private beach and restaurant, will be an experience that will stay with you. With great experiences included as part of your accommodation, you will be treated to unique luxury in scenic Tasmania. Woodbridge On The Derwent is a heritage-listed 5 star accommodation in Tasmania, offering stylish accommodation, offering premium dining and entertainment options. 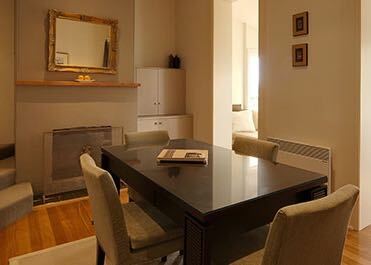 Built in 1825, this small luxury hotel combines original framework with luxurious modern furniture and facilities. Guests enjoy the fireplace, premium bedding, complimentary WiFi and the daily cleaning and turndown service all whilst staying in an original piece of Tasmanian history. Explore the best of Tasmania with great experiences curated by the Woodbridge On The Derwent staff. Guests enjoy complimentary access to on-site kayaks, bikes and entry-passes to the Nant Distillery, Wicked Cheese Factory and Mt Field National Park, with the breath taking Russell Falls. Located in the heart of the Derwent Valley, in the small country town of New Norfolk, it is 15 minutes from MONA, 25 minutes from Hobart and 45 minutes from Hobart airport. We highly recommend travel insurance to cover for any unforeseen circumstances. 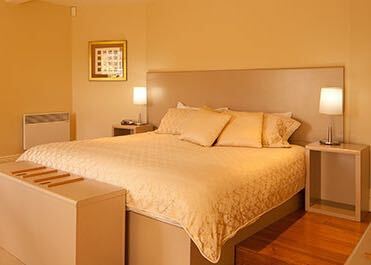 Riverview Room(31 sq m) with Easy Access facilities, Queen bed, and fireplace. Upper floor with high ceilings. Easy access shower. 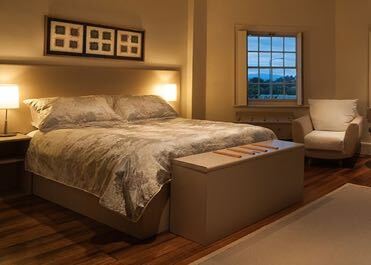 Riverview Room (36-40 sq m) with Queen bed, upper floor with high ceilings, fireplace, shower over bath. Riverview Room (36 sq m) with Queen bed, and fireplace. In the Tower, private enclave on top floor with 15 stairs access. Shower over bath. 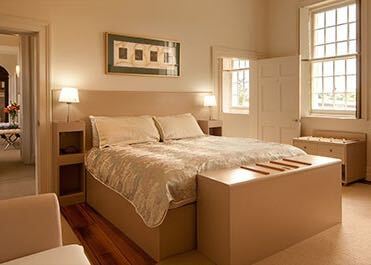 Riverview Room (44 sq m) with King bed, on lower floor with stone wall, accessed via 15 stairs. Room opens onto garden terrace. Unique architectural arches in room. Large easy access shower. 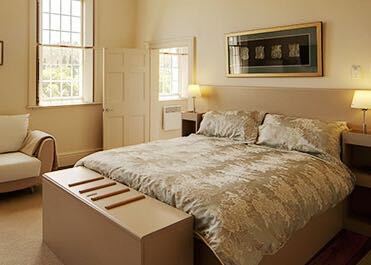 Riverview Room (44 sq m) with Twin beds, on lower floor with stone wall, accessed via 15 stairs. Room opens onto garden terrace. Unique architectural arches in room. Large easy access shower. 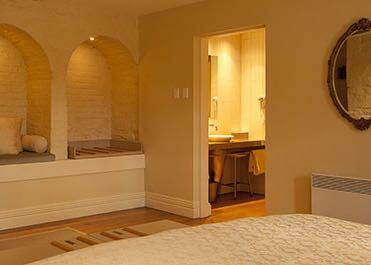 Riverview Spa Suite (44 sq m) with King bed, on lower floor with stone wall, accessed via 15 stairs. Room opens onto garden terrace. Sitting Room with fireplace. Shower over spa bath. Riverview Spa Suite (68 sq m) with King bed, at end of private corridor. No floors above or below Room opens onto garden terrace. Sitting Room with fireplace and adjacent Sunroom. Shower over spa bath.